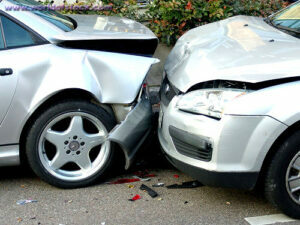 The risk of motor vehicle crashes is higher among 16-19-year-olds than among any other age group. In fact, per mile driven, teen drivers ages 16 to 19 are nearly three times more likely than drivers aged 20 and older to be in a fatal crash. Males: In 2016, the motor vehicle death rate for male drivers and passengers ages 16 to 19 was two times that of their female counterparts. Newly licensed teens: Crash risk is particularly high during the first months of licensure. The fatal crash rate per mile driven is nearly twice as high for 16-17 year olds as compared to 18-19 year olds. Teens are more likely than older drivers to underestimate dangerous situations or not be able to recognize hazardous situations. 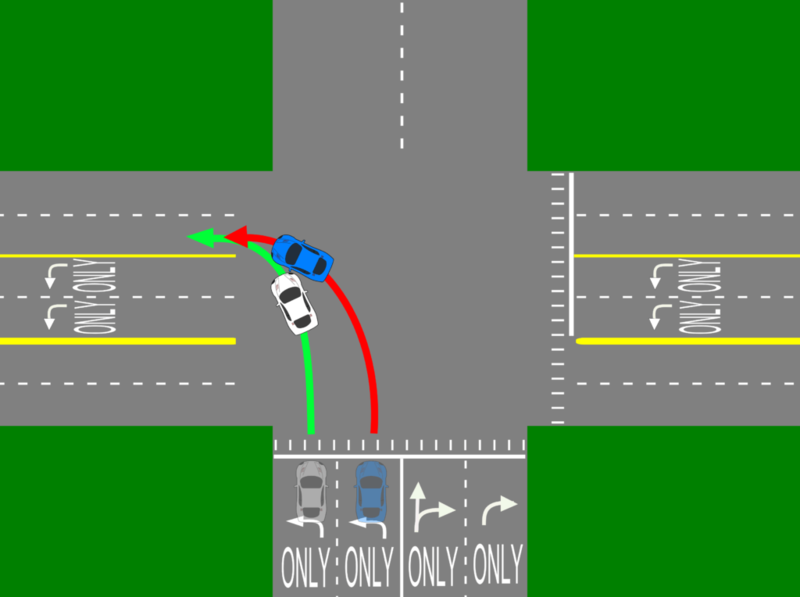 Teens are also more likely than adults to make critical decision errors that lead to serious crashes. In 2015, 48% of teen deaths from motor vehicle crashes occurred between 3 p.m. and midnight and 52% occurred on Friday, Saturday, or Sunday. Compared with other age groups, teens have among the lowest rates of seat belt use. In 2015, only 61% of high school students reported they always wear seat belts when riding with someone else. At all levels of blood alcohol concentration (BAC), the risk of involvement in a motor vehicle crash is greater for teens than for older drivers. Among male drivers between 15 and 20 years of age who were involved in fatal crashes in 2015, 32% were speeding at the time of the crash and 22% had been drinking. In 2016, 15% of drivers aged 15 to 20 involved in fatal motor vehicle crashes had a BAC of .08% or higher. In a national survey conducted in 2015, 20% of high school students reported that, within the previous month, they had ridden with a driver who had been drinking alcohol. Among students who drove, 8% reported having driven after drinking alcohol within the same one-month period. In 2015, 60% of drivers aged 15 to 20 who were killed in motor vehicle crashes after drinking and driving were not wearing a seat belt. The CDC is just one organization of many who post teenage driving statistics. The 2017 statistics are still being reviewed, as most posted statistics are at least 2 years behind. This means we need to share as much information and knowledge with young inexperienced teenage drivers now, before it is too late! 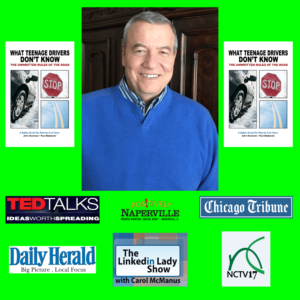 The recently published book, “What Teenage Driver’s Don’t Know – The Unwritten Rules of the Road”, can literally help save teenage drivers lives. This book takes the art of skillful driving to a whole new level in teenage driver training. 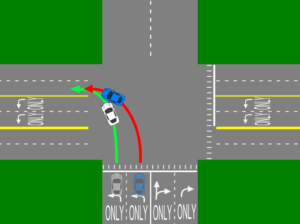 “What Teenage Drivers Don’t Know, the Unwritten Rules of the Road will increase a teenager’s ability to drive smarter and safer. We are proud to announce that this book is currently being used as part of the driver’s education curriculum in Naperville, Illinois School District’s #203 and #204. 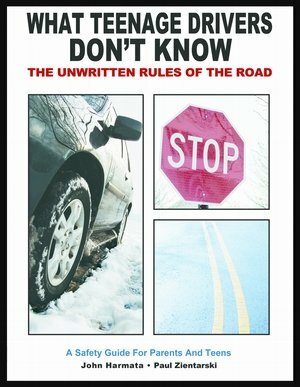 Donate $25 today and as a thank you we will send you a copy of the award winning book, “What Teenage Drivers Don’t Know, The Unwritten Rules Of The Road”. Authors John Harmata (left) and Paul Zientarski (right) with Illinois Secretary of State Jesse White. 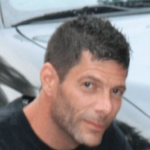 John Harmata, business owner and entrepreneur was born and raised in Chicago, Illinois. In 1978, John started his own business; servicing figure skaters from beginner up to national level competitors. In the fall of 2000, a member of U.S. Figure Skating heard about his work and asked if he would be interested in contributing an article to Skating magazine. John has been writing the Ask Mr. Edge column for U.S. Figure Skating magazine for more than ten years. John’s articles also appear at Len Saunders.com. 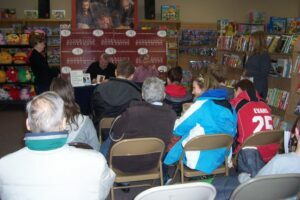 In May 2013, John published his first book, Anatomy of a Figure Skating Injury, which received a Global EBook Silver Medal award in the Non-Fiction Sports/Fitness/Recreation category. His concern for child safety has been a priority in life. Raising two children together with his wife, John has experienced the concern parents have for their children as they take those first steps toward independence and begin to drive. John, creator and lead author believes that: What Teenage Drivers Don’t Know, The Unwritten Rules of the Road will help protect our most valuable possessions – our children’s lives. Paul Zientarski has dedicated 40 years of his life to teaching students physical education, culminating his career as Department Chairman for Physical Education, Health, and Driver Education. As the Department Chairman for Driver Education, Paul’s responsibilities included staff development, supervision, and film reviews for Simulator Systems, Inc.
Paul holds a BS in Physical Education and an MS in Communication Science, along with an Administrative Certificate. 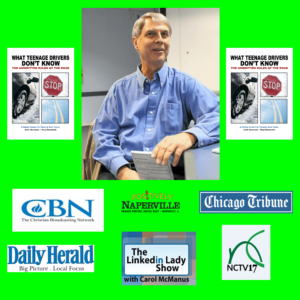 Paul is the Co-Director of DuPage County Institute for Physical Education, Health, and Driver Education. Paul is an engaging speaker and has made presentations across the country on Learning Readiness PE, PE4LIFE philosophy, Childhood Obesity, Physical Education Curriculum, Technology use in Physical Education, Small-Sided Games, and Brain Breaks in the classroom. He has presented in 22 states to a variety of audiences, including the President’s Council on Health, Fitness, and Nutrition in Washington DC. In May 2015 Paul was invited to be a guest speaker at a Ted Talk Conference in Bend, Oregon.